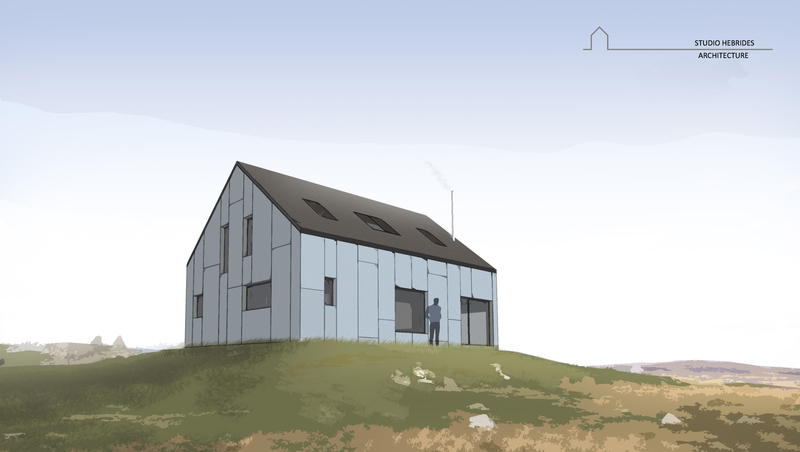 Planning permission has been granted for this new build house in North Uist which plays with a contrast of different materials to create a subtle form that blends well with its surroundings. 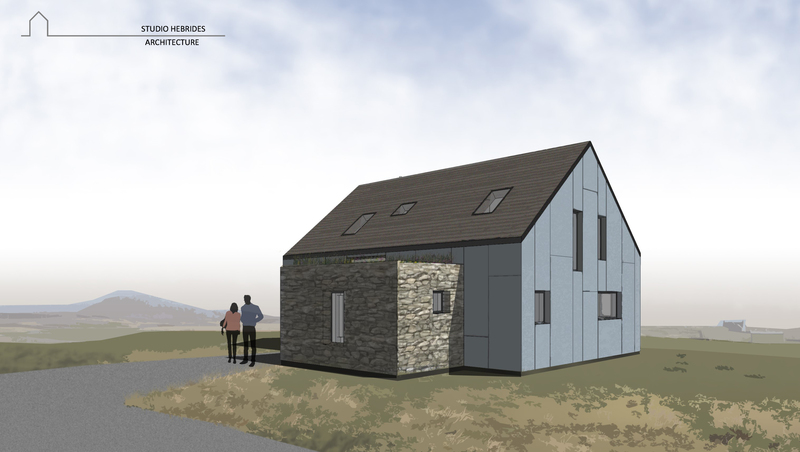 Local natural stone from the croft will be used to clad the main entrance to the house. 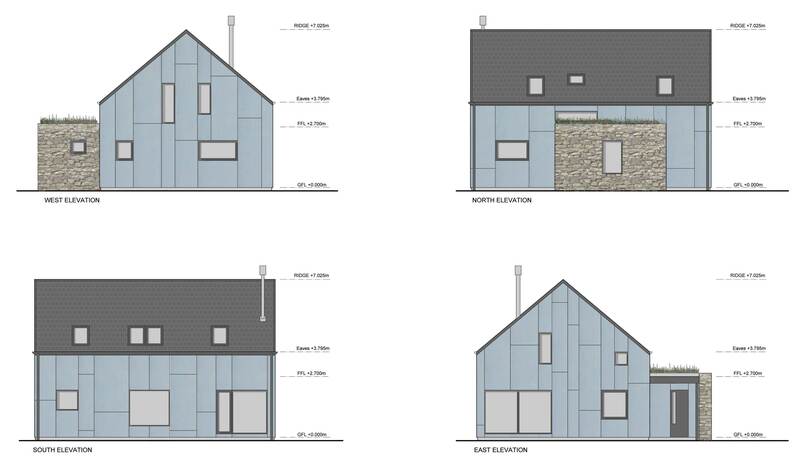 The remainder of the house will be clad in a natural blue grey toned fibre cement sheeting to complement the colour of the stone. The roof will be laid with natural slate. The house is very open plan and the main living area features framed views to the nearby fresh water loch and the hills of North Uist beyond.